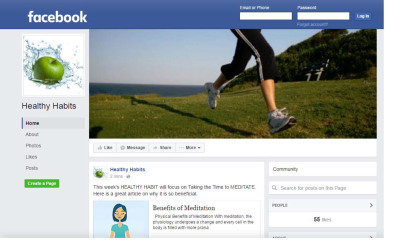 Healthy Habits on Facebook is an online support group to motivate, encourage, and inspire others to incorporate Healthy Habits into their lives. The idea is to incorporate ONE Healthy Habit a week, building it into our daily routine. Then, ADDING another Healthy Habit the next week, and then another the next... That means ADDING a Habit (doing it every day so that it becomes a habit) into our daily routines and then building on those good practices. By taking it one step at a time, one week at a time, one Healthy Habit at a time, it becomes manageable and possible!